There is no substitute for experience. At the law firm of Wesley, McGrail & Wesley, our skilled attorneys have more than 65 years of combined legal experience helping personal injury victims recover the compensation they need. We have dedicated our careers to getting people compensation to cover their lost wages, medical costs and other losses associated with a personal injury. We have built a reputation for successfully winning large verdicts and negotiating large settlements. 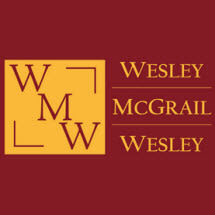 The lawyers of Wesley, McGrail & Wesley have built that reputation on a solid foundation of thorough preparation, aggressive representation and caring interaction with our clients. We offer the personal care and attention that you can only receive from a small law firm, coupled with the extensive resources and experience associated with a large firm. Our attorneys are available to handle all types of motor vehicle accidents, whether they resulted in serious injury or the wrongful death of a loved one. We can also represent you in trucking accident and motorcycle accident cases. Tourists frequent our beautiful area for Florida's wonderful outdoor activities. Unfortunately, the influx of traffic on our roadways and waterways, as well as the consumption of alcohol, greatly increases everyone's risk of an accident. Our law firm has the experience to stand by your side in cases involving boating accidents, as well as pedestrian and bicycle accidents. If you or a loved one was the victim of a highway construction accident, or you were hurt in a drunk driver accident, we will be there for you.